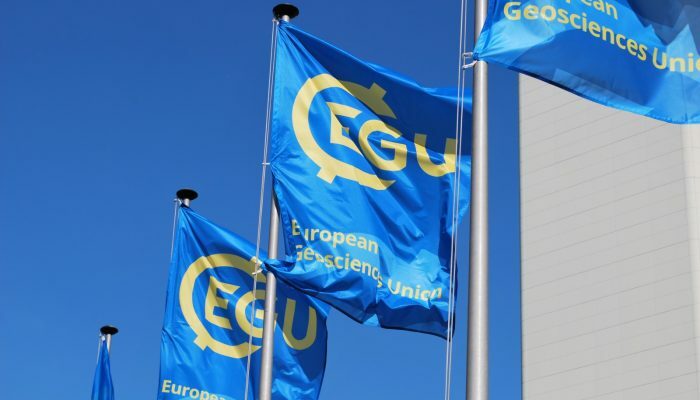 Join us at EGU 2017: Call-for-abstracts is now open! From now, up until 11 January 2017, you can submit your abstract for the upcoming EGU General Assembly (EGU 2017). 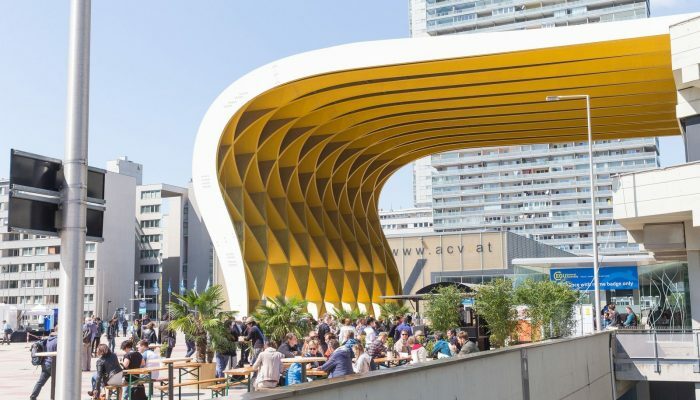 Browse through the EGU 2017 sessions. Clicking on ‘please select’ will allow you to search for sessions by Programme Group and submit your abstract to the relevant session either as plain text, LaTeX, or a MS Word document. Further guidelines on how to submit an abstract are available on the EGU 2017 website. The deadline for the receipt of abstracts is 11 January 2017, 13:00 CET. If you would like to apply for financial support to attend the 2017 General Assembly, please submit an application no later than 01 December 2016. We’ll be providing further information about how to apply for travel grants and how they are awarded in a forthcoming post. EGU 2017 will take place from 23 to 28 April 2017 in Vienna, Austria. For more information on the General Assembly, see the EGU 2017 website and follow us on Twitter (#EGU17 is the conference hashtag) and Facebook. NB: We strongly recommend booking accommodation for EGU2017 as soon as possible . The congress ECCIMD2017 (10,000 participants) will take place in Vienna at the same time as the EGU2017. In addition, the Vienna City Marathon (40,000 participants) will take place on Sunday, resulting in many hotels being fully booked the night before. Educators: Apply now to take part in the 2017 GIFT workshop! The General Assembly is not only for researchers but for teachers and educators with an interest in the geosciences also. Every year the Geosciences Information For Teachers (GIFT) is organised by the EGU Committee on Education to bring first class science closer to primary and high school teachers. The topic of the 2017 edition of GIFT is ‘The Mediterranean’. This year’s workshop is co-organised with the Italy’s National Institute of Geophysics and Volcanology (INGV) and will be taking place on 24–26 April 2017 at the EGU General Assembly in Vienna, Austria. The Mediterranean is a key region for understanding the complexities and delicate relationships between civilization, natural processes, catastrophic events and protection of the environment. The region is densely populated with progressively increasing anthropogenic pressures, which, when combined with the peculiar geological setting, result in heightened vulnerability to climate change enhanced by increasing atmospheric carbon dioxide. The workshop will explore most of these aspects, and will include a hands-on experience session. Teachers from Europe and around the world can apply to participate in the 2017 edition of GIFT, and to receive a travel and accommodation stipend to attend the workshop, by November 15. Application information is available for download in PDF format, a document which also includes the preliminary programme of the workshop. Not sure what to expect? More information about GIFT workshops can be found in the GIFT section of the EGU website. You can also take a look at a blog post about what participants could expect from the 2016 workshop and also learn what the workshop is like from a teacher’s perspective here. You might also find videos of the 2016 workshop useful too. Explore the EGU2017 Programme groups (PGs) to get a feel for the already proposed sessions and to decide which PG would be the best fit for your session. When proposing a session, make sure you consider gender diversity (i.e. is there at least one female convener? ), diversity in countries/institutes, and the inclusion of early career scientists as conveners. A minimum of three conveners per session is generally desirable. Does your idea for a session fall under the remit of two (or more) PGs? Co-organization is possible and encouraged between PGs! Put your session proposal into one PG, and you will be able to choose other PGs that you believe should be approached for co-organization. A new Programme group, Interdisciplinary Events (IE), was introduced in 2016. IE looks for links between disciplines in a coordinated and coherent effort, trying to create new approaches that would not be possible if handled separately. IE has four sub-programme groups that highlight new themes each year. If you plan to propose an Interdisciplinary Event, please submit your proposal in Programme group IE and indicate relevant other Programme groups in the session description or comment box. For IE sessions we kindly ask to identify another Programme group that becomes the scientific leader of the event. Accepted IE sessions will be part of the session programme of the scientific leader in addition to the IE programme. The PG officers are on-hand to answer questions about the appropriateness of a specific session topic, so don’t hesitate to contact them if you have queries! You can also find more information about the call for sessions (and the orgaisation of the scientific programme in general) on the EGU 2017 website. The EGU’s 2017 General Assembly, takes place in Vienna from 23 to 28 April, 2017. For more news about the upcoming General Assembly, you can also follow the offical hashtag, #EGU17, on our social media channels.